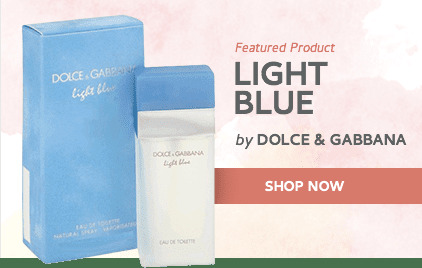 Gift Set includes a 3.3 oz Eau De Toilette Spray, 3.3 oz Body Lotion, 3.3 oz Body Wash and a .33 oz mini EDT Spray. 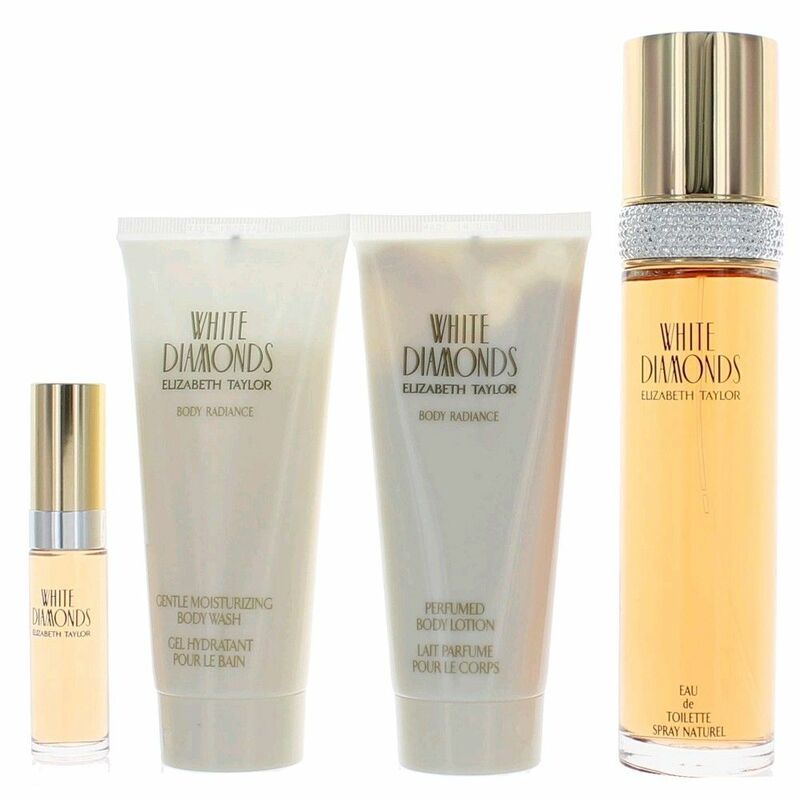 White Diamonds is a sheer floral fragrance, an example of top classics. The harmony of flowers and aldehydes in the top notes, together with the sharp base, give this fragrance an elegant vintage nuance. 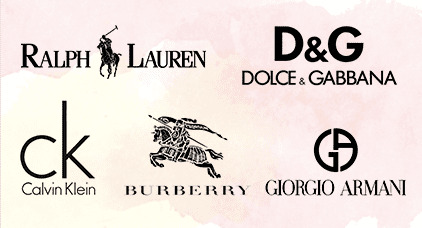 The top notes are aldehydes, bergamot, neroli, orange and lily. The heart unites the classical trio, violet, rose and jasmine, accompanied by ylang-ylang, Egyptian tuberose and narcissus. 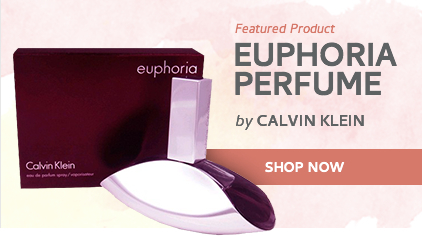 The base is composed of oak moss, patchouli, musk, sandalwood and amber. I began wearing white diamonds about 2002. ALTHOUGH, I cannot smell it on myself, other people are always telling me how good I smell, and want to know what it is I'm wearing. It can be many hours after I have sprayed myself, yet others can still detect it, and complement me. One man wanted to know what it was because he wanted to buy some for his wife. ]5Nancy]Thanks to ET, I always smell good. 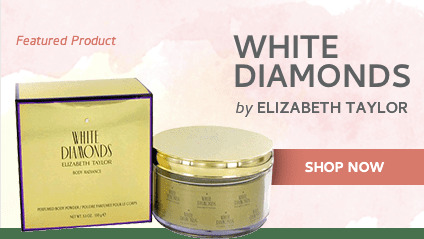 I have been wearing White Diamonds since it was introduced, I tried a rub on magazine strip and was so happy to find a scent that worked so well for me. My husband buys it for all occasions so that I never run out. I am complimented on it everywhere I go, and people stop me to ask what I'm wearing and tell me how good I smell. I don't leave home without it]5jccj2011]my everyday fragrance!